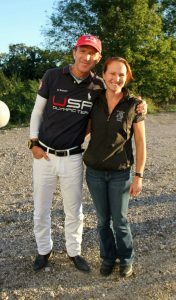 Carpe Diem Equestrian Training trainer Kelley Shetter-Ruiz is not affiliated with a specific barn- instead she travels to her students. As a life-long rider and yoga instructor, she focuses on improving the connection between horse and riders of all levels and disciplines through training based on her Carpe Diem training philosophy. Carpe Diem Equestrian Training covers a broad area in southeastern Wisconsin. For training outside of the area, travel fees may be additional. Contact Kelley with your location and specific training requirements.